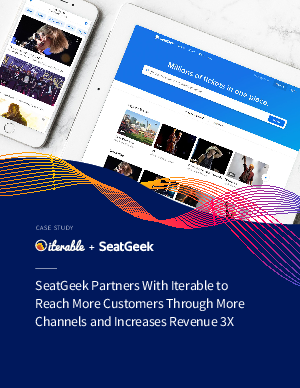 Whether they want tickets for the next Lady Gaga concert, the World Series, the Indianapolis 500, or Hamilton, people are quickly discovering that SeatGeekis the place to find the best selection and great bargains. This relative newcomer to the online ticket business has quickly grown to offer the largest inventory of live event tickets on the web, in addition offering differentiating services like best-bargain ratings and notifications when a fan’s favorite team or entertainer will be performing nearby. Email and push have been the primary channels for interacting with customers. However, according to Ben Clark, Vice President of Customer Retention, the marketing team previously struggled to deliver consistent, relevant messaging across channels because their email and push tools ran on separate platforms. The old tools were also cumbersome to use and offered limited functionality. Worse yet, they didn’t support the team’s AI driven, omni-channel marketing strategy, which includes reaching customers through SMS, in-app messaging, and social media.